Inside China’s Terra Cotta Soldiers’ Heads; The Intellectual Breadth Of Ancient China. Emperor Qin Shihuang unified China’s vast land under one political system for the first time in history. In the process, he did more than build enormous walls, cities, palaces and tombs. China also had a vast intellectual landscape. Qin Shihuang spread cultural riches that are as impressive as the monuments he built. Chinese culture had more currents than the hard-boiled Legalism which Qin Shihuang’s regime embraced, and Confucianism. 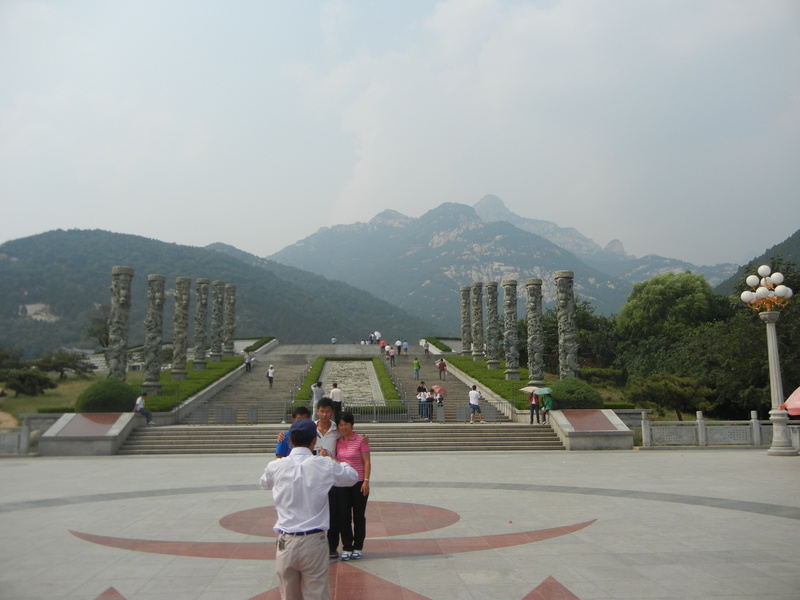 In the last post on the terra-cotta army, we saw its creator ascend Tai Shan in search for immortality (pictured above–no god up there told me that I found it, so I’ll try to attain it by writing). 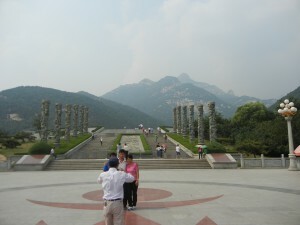 Tai Shan is in Shandong province. Qin Shihuang’s Qin state unified China from the west. But many of China’s most influential thinkers were from the eastern land of Shandong. Confucius and Mencius lived there. So did many other philosophers that Qin Shihuang honored. Shangdong’s land is legendary. 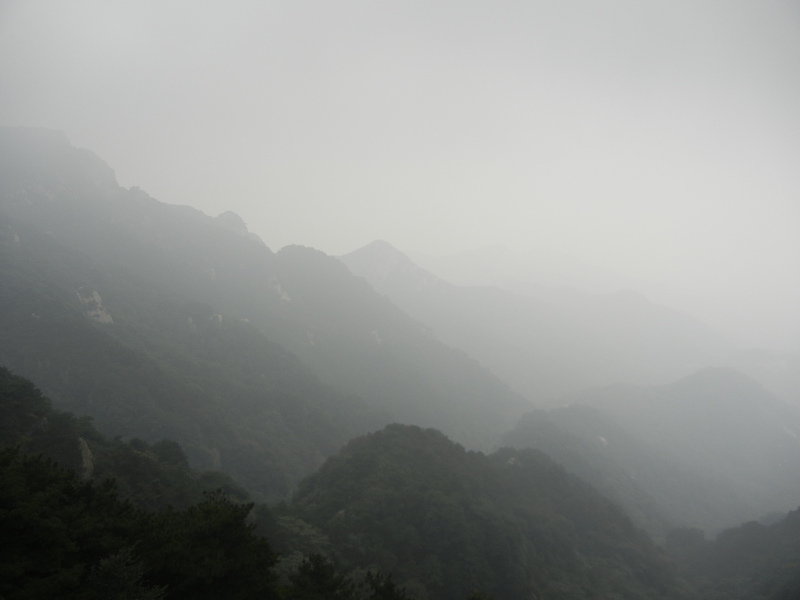 It’s a fertile plain with steep and jagged mountains that suddenly rise. 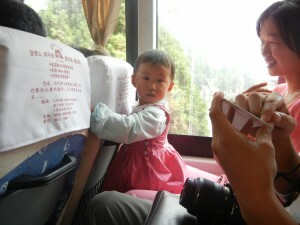 It has lots of coastline, and the Yellow River empties into the ocean there. People have associated Shandong with supernatural powers since ancient times, and Qin Shihuang went there to find immortality. Shangdong’s land inspires contemplation. Today it inspires tourists from Beijing. This girl’s young mind will be imbibed with the land’s rich cultural heritage. Shandong’s influence still lives. But it was already ancient when Qin Shihuang breathed. Ancient Longshan cultures thrived in Shangdong, roughly between 3000 and 2000 BCE. They preceded the Shang Dynasty, and they were contemporary with Egypt’s Old Kingdom, which built the pyramids at Giza. We’ll explore Longshan culture in the next post because it was very seminal in Chinese civilization. It helped generate some of the ideas in the terra-cotta warriors’ heads–to get inside them, you have to go back to roots that were already ancient when their owners were strutting their stuff.